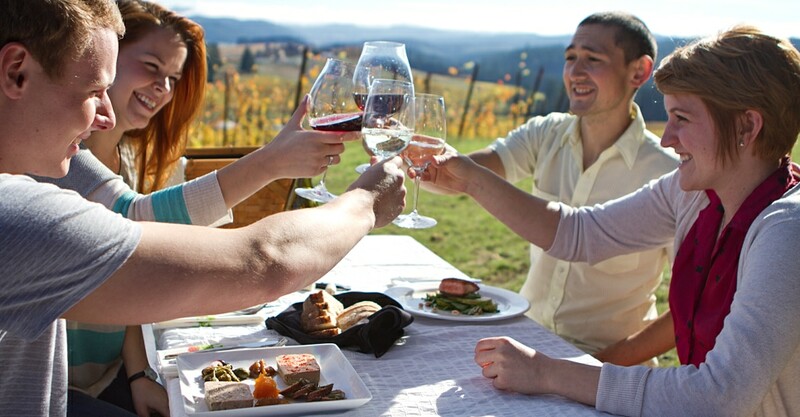 Considering that the Willamette Valley American Viticultural Area (AVA) has 507 wineries and six sub-AVAs within its borders, it might take a lifetime to visit all the tasting rooms and vineyards in this rich region. Many of the most dedicated oenophiles stick to the wondrous wine roads of the north — Highway 47 (aka Sip 47), with a dozen stops for sipping, and Highway 99 West through Newberg, Dundee and McMinnville. But happy are the savvy souls who continue south to experience the richness of the wineries in the South Willamette Valley. Here’s just a taste of what you’ll find: Highway 18 West takes you through the H.B. Van Duzer Forest State Scenic Corridor. Drop in to experience the estate wines from Château Bianca and many other wineries located on this route. Carry on to Cardwell Hill Cellars in Philomath. 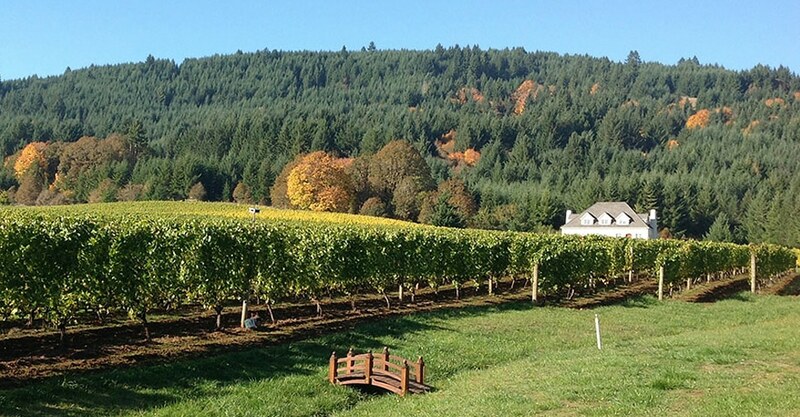 For the trifecta of Oregon wine experiences, travel Route 200 right to the cellar doors of Broadley Vineyards, Benton-Lane Winery and King Estate. Looking to be pampered? With just a 10-minute diversion off Route 200 in Junction City, you can visit the luxurious Pfeiffer Winery. For more viniferous inspiration, visit the South Willamette Valley Wineries Association and Oregon Wine Board websites. At Pfeiffer Winery, a calming Zen-like atmosphere will engulf your spirit the moment you drive up the lane to the vineyard. Take a walk through the spring-fed gardens watched over by a life-size Buddha sculpture. Stroll up to the luxurious tasting room, where Robin and Danuta Pfeiffer offer personality-driven wines of distinction. 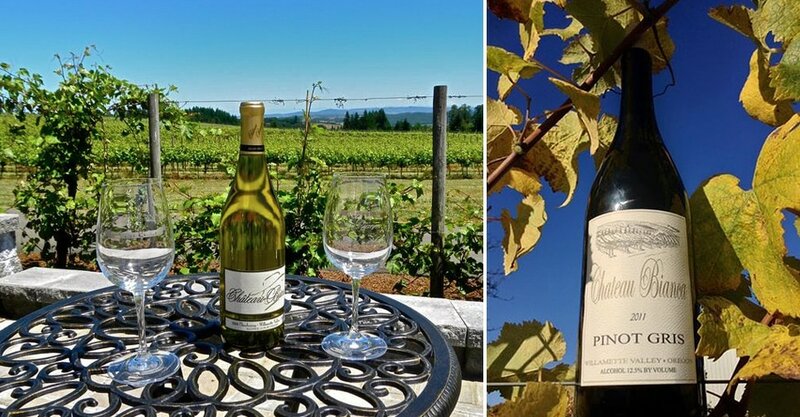 Pfeiffer Winery is a place where all guests are warmly welcomed and wine is revered for its spirit. King Estate Winery looms large from the entrance gates on Territorial Drive. The regal, lavish winery and restaurant are set amid a vast expanse of more than 1,000 acres of Oregon Tilth-certified organic grapes. 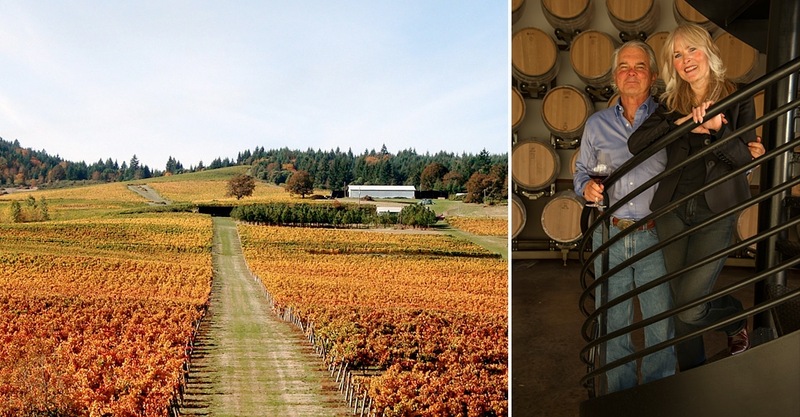 Although King Estate has grown to be Oregon’s largest wine producer, the attention to detail is still carried out with exacting perfection in the wines, food and service. In the restaurant, the menu is crafted from the estate’s organic farm and garden and is produced in a kitchen with Michelin-star expertise. 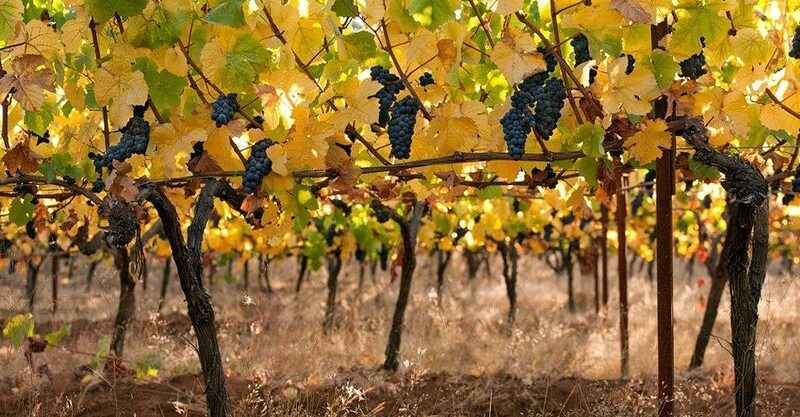 A recent proposal to include King Estate in the Willamette Valley AVA has reached approval in preliminary hearings and should become law in the not-too-distant future. The Route 22 starts in Monroe near Broadley Vineyards, whose winery building once housed a car dealership. The Broadley family, led by patriarch Craig Broadley, makes a decadent pinot noir. Wine Spectator has called it “simply extraordinary.” Years ago, I tasted their second vintage, an unforgettable 1987 pinot noir, that even a quarter of a century later is still a very lucid memory. While Château Bianca Winery doesn’t have the expensive palatial exterior that might impress some, it offers the genuine Willamette Valley wine experience. Andreas Wetzel creates wines of exceptional value. This Highway 22 winery has become a destination for the delicate and alluring pinot blanc, a masterpiece of viticulture and fermentation skills. If you are combining this stop with a weekend visit to the Oregon Coast in summer, come hungry for some delicious barbecue to go with these well-crafted wines. Cardwell Hill Cellars in Philomath started from modest beginnings at the site of the old 38-acre Monet Vineyards. 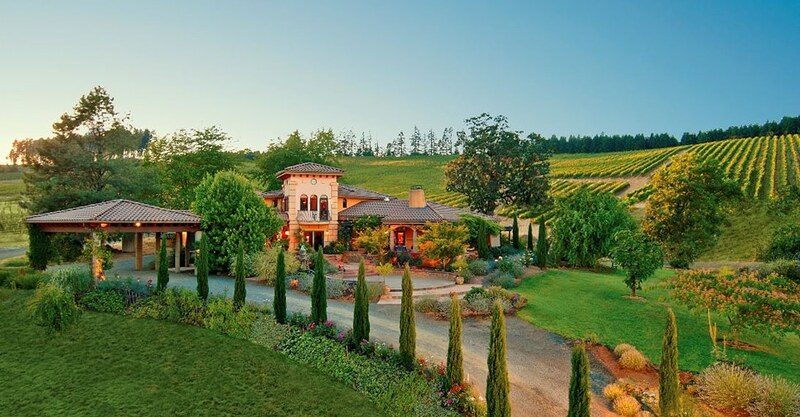 Since they purchased it in 2000, owners Dan and Nancy Chapel have transformed this winery into one of the highest-quality pinot noir producers in the state. Come for the outstanding wines and stay for the picturesque view of Marys Peak, the highest elevation in the Oregon Coast Range. Benton-Lane Winery takes its name from the two counties that it straddles. With the rough-hewn, weathered-wood exterior of a frontier trading post, Benton-Lane’s rustic ambience is quintessential Oregon. Mosey up to the large Western saloon-style bar for your tasting flight. The vineyards here lie in the rain shadow of the Coast Range, creating the microclimate for fruit to produce light, vibrant wines of superior quality.